Animal Medical Center (AMC) in New York City is a non-profit academic veterinary hospital that promotes the health and well-being of companion animals through advances in treatment, research, and education. As a non-profit, AMC relies on the support of generous donors to provide quality care and veterinary advancements. When AMC came to Pidalia, their direct mail solicitation program was losing money and turning away donors. 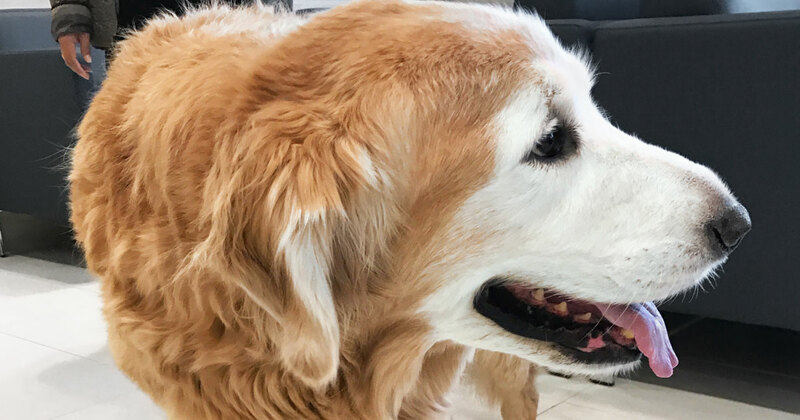 Today, with Pidalia, AMC’s solicitation program has evolved to generating net-positive income through direct mail, email, and microsites — money that is now being used to power tomorrow’s medical advancements for companion animals and humans. 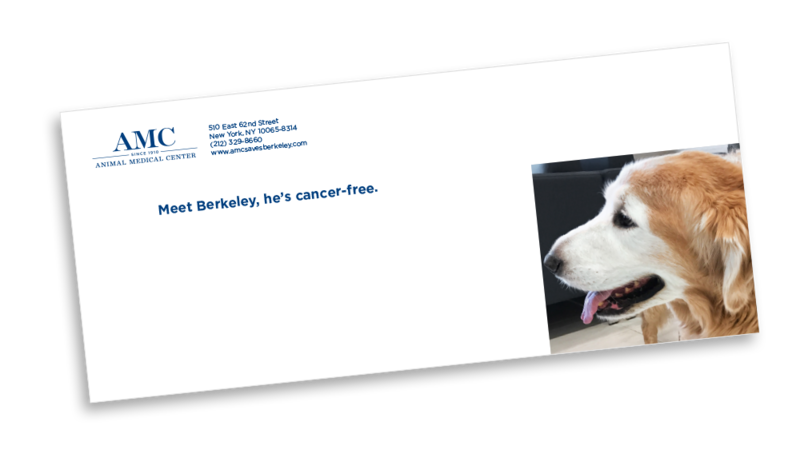 AMC’s strategy focused on raising money and increasing awareness for their cause through direct mail. The strategy was sound, but their copywriting and direct mail company weren’t delivering. In fact, AMC was losing money. They contacted Pidalia for fresh ideas on how they could turn their program around. 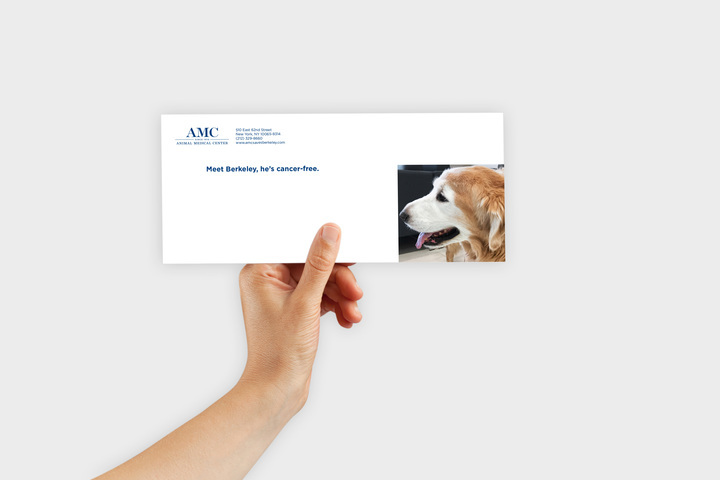 AMC was producing and printing direct mail pieces, but wasn’t generating a positive return on their investment–they were losing money. In addition, AMC wasn’t able to build momentum and was losing out on repeat donations. How could they turn a loss leader into a net positive? They turned to Pidalia for answers. After meeting with AMC, we set out to analyze their program and generate a strategy for turning the solicitation program around. Some were giving extremely small donations–no more than $1 in some cases–that didn’t even cover the cost of the mail piece. Mail pieces were being sent to people who lived outside of AMC’s service area. There was a lack of conversion from client to donor. AMC was sending people up to 10 solicitation letters every year. After gathering insights from the data, we set out to analyze the copy and design of the mail pieces. We determined that the creative was holding back conversions. The outer mailing envelope screamed, “Don’t open me–I’m spam!” The letter design was muddy, and the copy was dull and unclear. We knew what we needed to do, and set forth creating a plan for each program year. Starting with the data, we would weed out those least likely to convert to donors, ditch people outside of the service area, and leverage predictive analytics to generate a list of people new to AMC with a high probability of donating. We built a data warehouse and software to reliably dedupe lists. The rules were simple: The highest donation amount for an individual would be the one we referenced, regardless of how many times a gift was received. If a person existed on both client and donor lists, they were always referred to as a donor. Do Not Mail lists were created and honored. Most importantly, there were no duplicates or waste between any of the lists. We cut down on mailings and strategically delayed others in the calendar year. We standardized letter and envelope sizes that could be produced reliably and cost-effectively. We did away with tchotchke gifts like mailing labels and refrigerator magnets, instead opting for one small calendar sent before the holidays. All of this drove down the cost of producing the direct mail, but we weren’t done yet. We needed a way to reduce mailing costs. When creating donor, client, and acquisition mailing lists we found that presenting mail at the SCF and NDC closest to the mailing audience, even with paying for specialized trucking of the mail, saved our client a lot of money. Now, back to the letter content. We took over copywriting duties and focused on shortening the stories, and making AMC’s value proposition and request for support clear. We created new letter designs that were clean and in line with AMC’s brand standards (color, typography, photography). In addition to the traditional direct mail campaign, we developed a digital strategy. 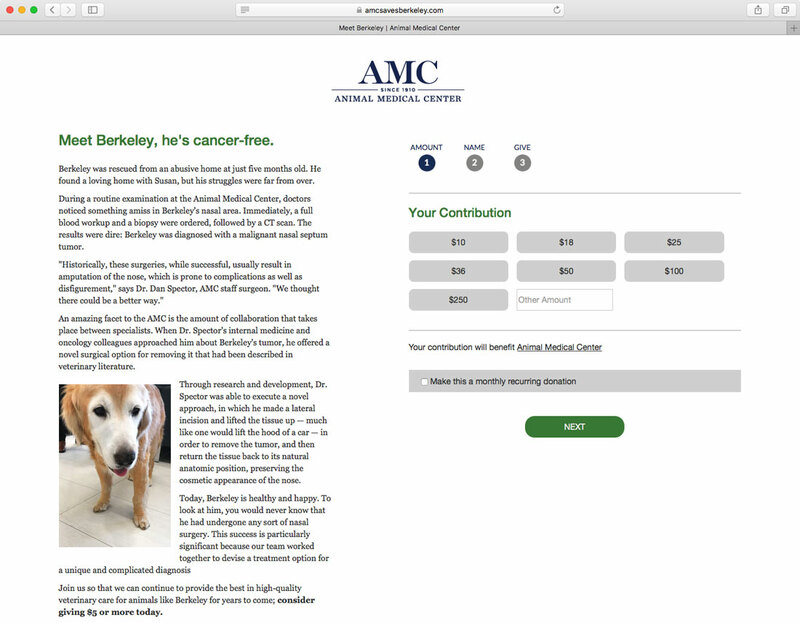 In certain months throughout the year, we create personalized emails for donors and clients that direct them to a microsite with additional information about the story and a simply designed form that allows them to donate with their credit card. These solicitations are integrated with AMC’s social media efforts, and we can now track conversions from and have specialized messaging for, channels like Facebook and Instagram. The donations run through Stripe’s API and go right into AMC’s bank account. Pidalia has successfully turned around AMC’s solicitation campaign. Through analysis and optimization, Pidalia has succeeded in converting AMC clients into donors, identifying new potential donors, and turning AMC’s direct mail program into a net-positive capital-generation tool. We have incorporated new pathways for AMC to connect with their supporters, both new and old. Pidalia enjoys a successful relationship with AMC; the solicitation program continues to evolve and is generating new funds for treatment, education, and medical research.